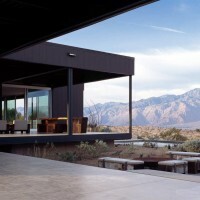 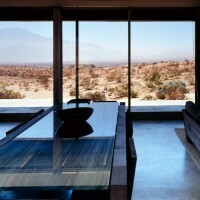 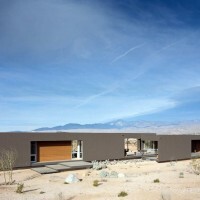 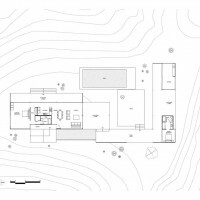 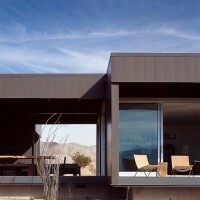 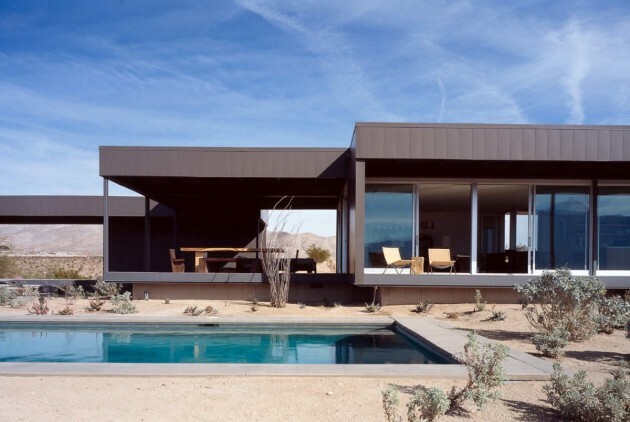 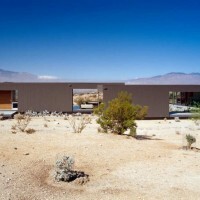 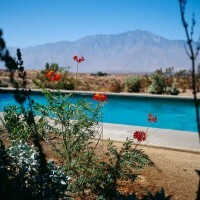 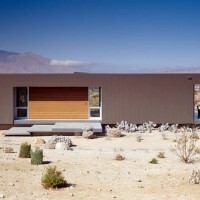 Marmol Radziner designed this house in Desert Hot Springs, California. 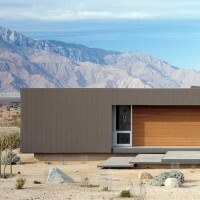 Located in Desert Hot Springs, California, the prototype prefab home is located on a five-acre site and oriented to best capture views of San Jacinto peak and the surrounding mountains. 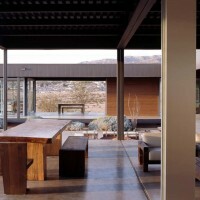 Doubling the 2000 square foot interior space, the home extends towards the landscape with covered outdoor living areas. 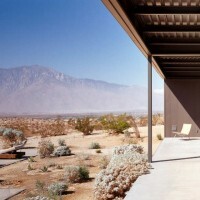 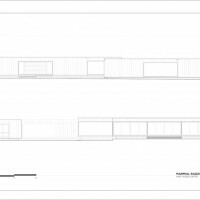 Sheltered living spaces blend the indoors with the outdoors, simultaneously extending and connecting the house to the north wing, comprised of a guest house and art studio. 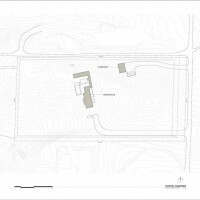 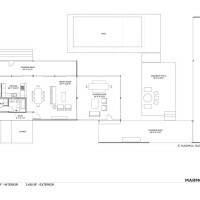 The “L” shaped plan layout defines a protected courtyard that includes a pool and fire pit. 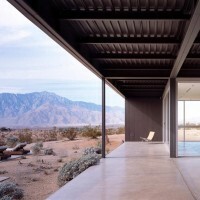 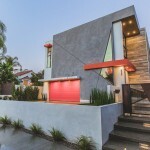 Visit the Marmol Radziner website – here.